Match, tack and stitch side back seams; press open with steam. Hand sew lining seams in place. Join centre front piece with side piece, matching pattern carefully. 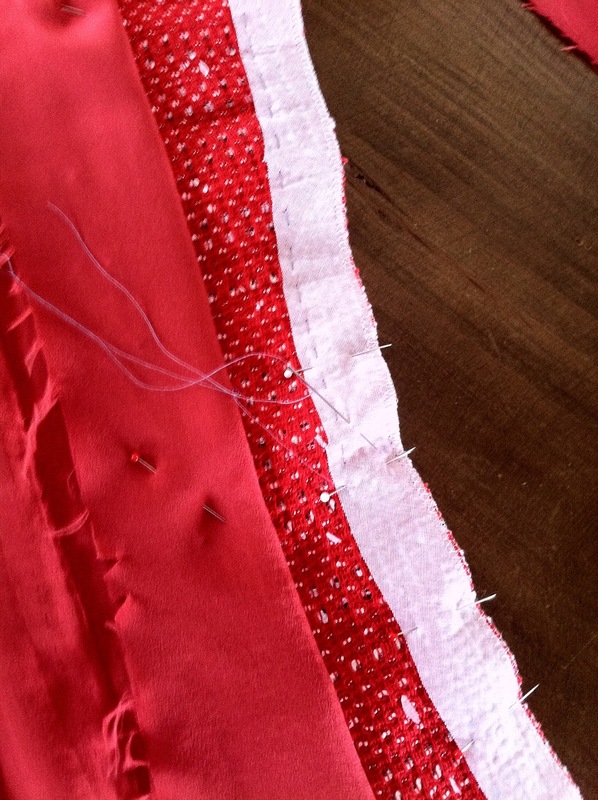 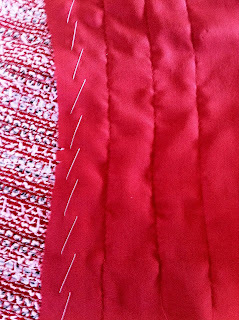 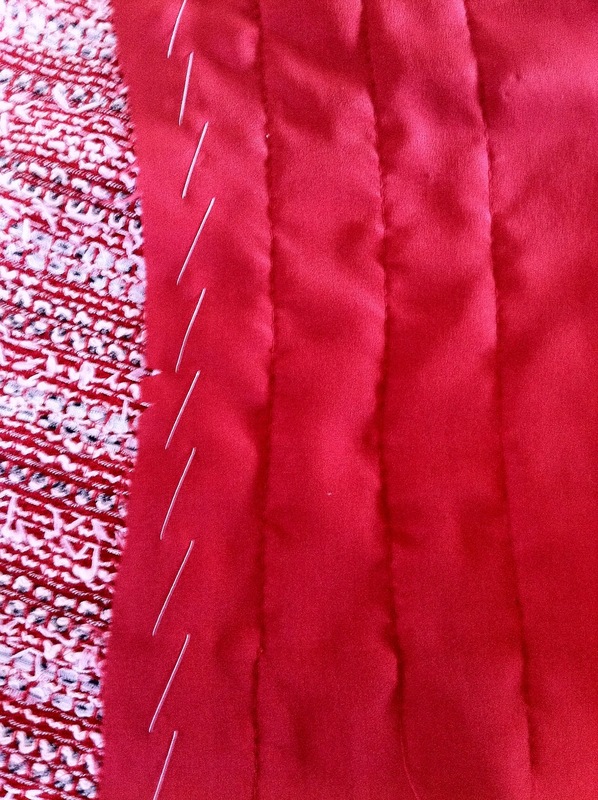 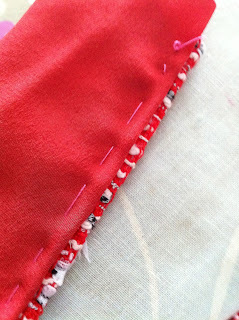 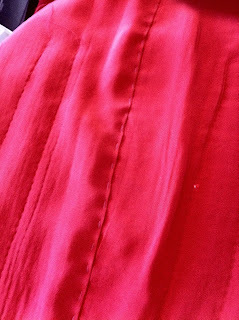 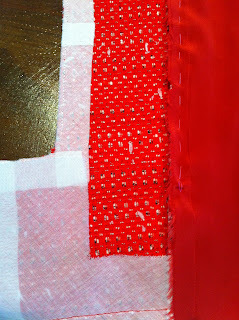 Join lining seams and tack into sleeve. 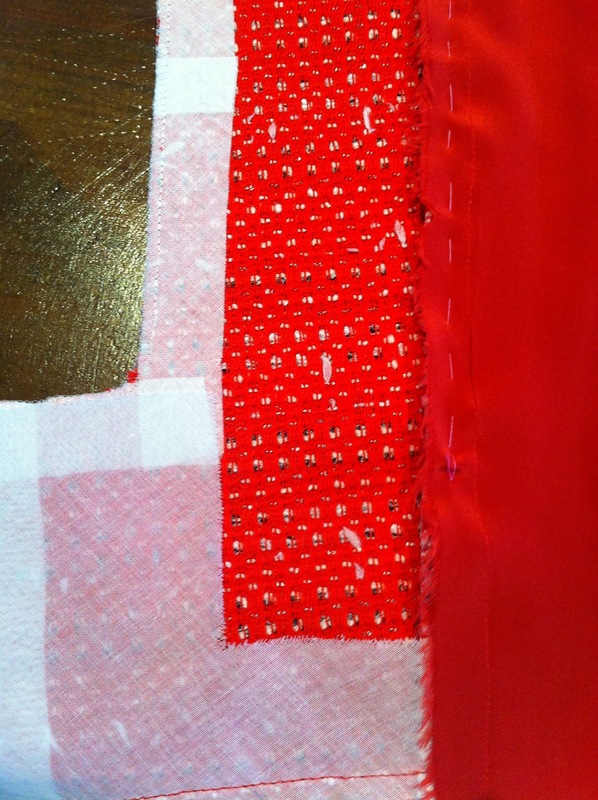 Quilt lining to shell fabric as shown. 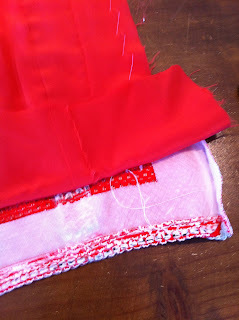 Hand sew lining to sleeve opening.